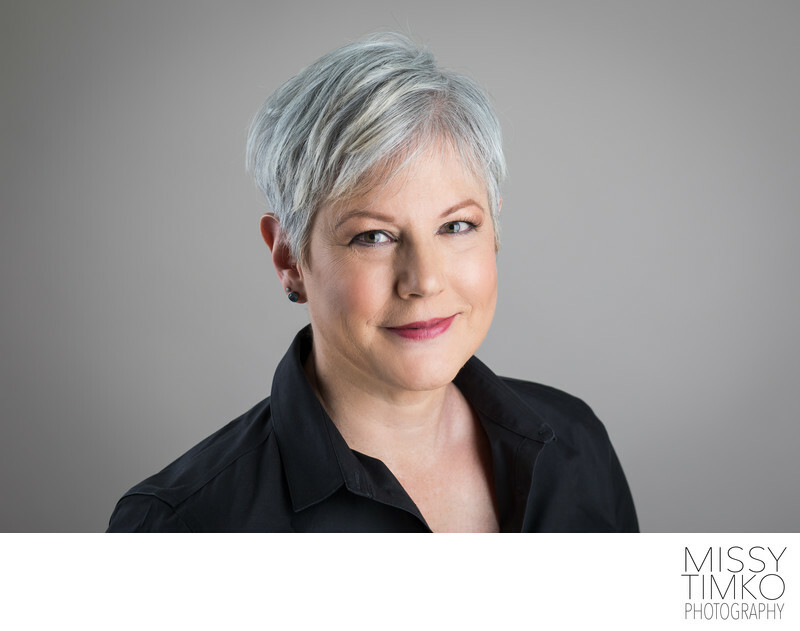 This head shot photo of Diane was taken in my Pittsburgh studio. I prefer to utilize neutral colors for my backdrops, and here chose a grey savage seamless backdrop. Using grey allows for the subject's features to stand out in order to get your best head shot possible. Diane came to me with the request that she wear something a little less formal for her portrait due to the fact that her work environment is more casual. I was happy to accommodate her request as feeling comfortable and confident are critically important when having your professional portrait taken. Diane also took advantage of my hair and makeup service, and had each of those done in my Point Breeze studio prior to her session.